MSDEER.net • View topic - Jr is at it again! Jr is at it again! 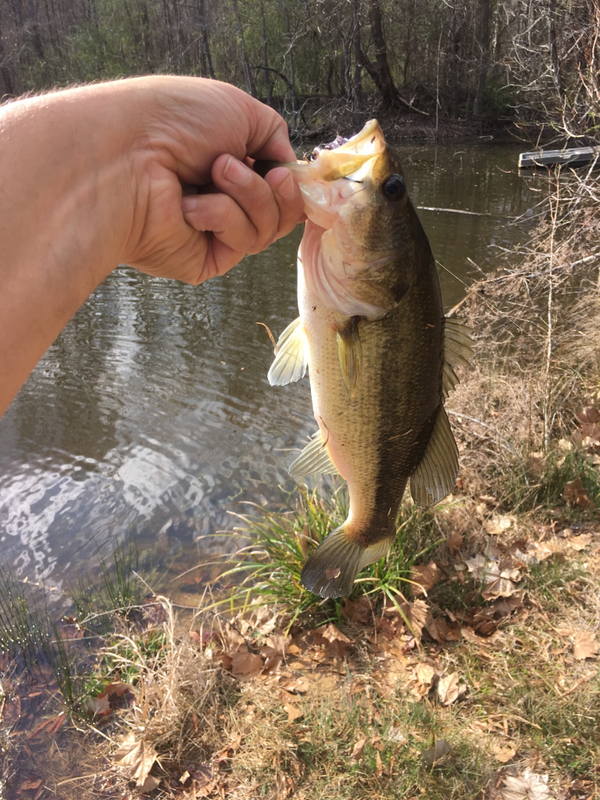 I went and tried to catch a few bass in a pond on my lease yesterday and while there I heard 2 birds gobbling. After I picked Jr up from school we hurried home and got our camo on and headed out. 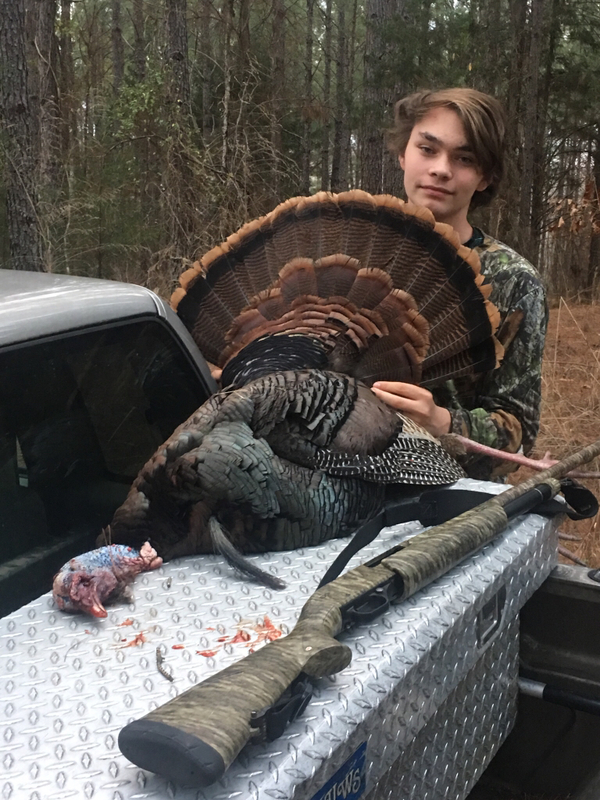 When we parked the truck I hit my headcrusher call both started gobbling. We went towards the closest one and setup. He shut up and I assumed we bumped him. So I decided to go where I had originally planned to, which was a blind on my clover plot. About 30 min later this guy came in and Jr put the smack down on him at 40yds! Re: Jr is at it again! Congratulations, nice bird and good eating. Good bird, congratulations to Jr.
Great job! Pretty bird! Congrats!!!! Congrats to JR ! Unreal that birds are gobbling in the afternoon this early in the spring. Better get them quick, I am fearful that after April 7 things are going to get real tough. stickers wrote: Congrats to JR ! Unreal that birds are gobbling in the afternoon this early in the spring. Better get them quick, I am fearful that after April 7 things are going to get real tough. Yep. Thursday as we were walking back to the truck at 530. The other bird was still gobblering. I like those during regular season when I am hunting with someone. He was looking for his buddy. A couple calls and more than likely he would have run over you. Of course whenever it happens to me I am always alone which is 90% of the time anyway, ha. Yep. It would have been a easy kill I believe. The crappy weather this week will make for some interesting hunting. I'll probably let my regular wait and hit the public land. The weather isnt affecting them here. One thing to remember is that turkeys are not fish or deer. When love hits their minds then there is no turning back until all the hens are incubating or they are just slap worn out, ha. Hot weather will affect them way more negatively than cold weather. Those black beach balls dont like getting cooked.